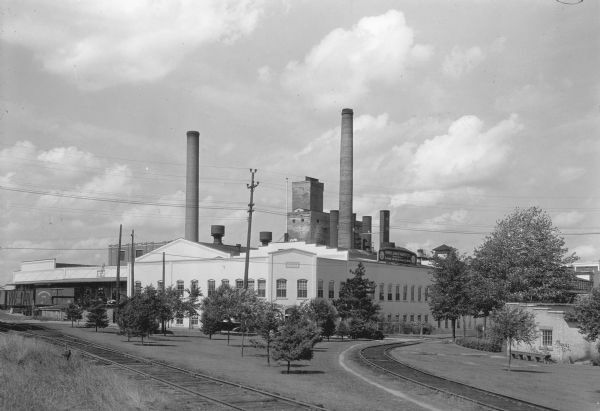 Two large smokestacks rise from the 1903 building of the Rhinelander Paper Company. Railroad tracks are crossing the left foreground diagonally; a second set of tracks are curving off to the right. A sign on the roof at the right side of the building reads: "Rhinelander Paper Co. Manufacturors of Glassine and Greaseproof Papers." There are rail cars at the loading docks on the left.